From the Royal Shakespeare Company - a fresh new edition of Shakespeare's great tragedy of love and war. This edition includes an illuminating introduction to Troilus and Cressida by award-winning scholar Jonathan Bate. The play - with clear and authoritative explanatory notes on each page. A helpful scene-by-scene analysis and key facts about the play. An introduction to Shakespeare's career and the Elizabethan theatre. A rich exploration of approaches to staging the play featuring photographs of key productions. The most enjoyable way to understand a Shakespeare play is to see it or participate in it. 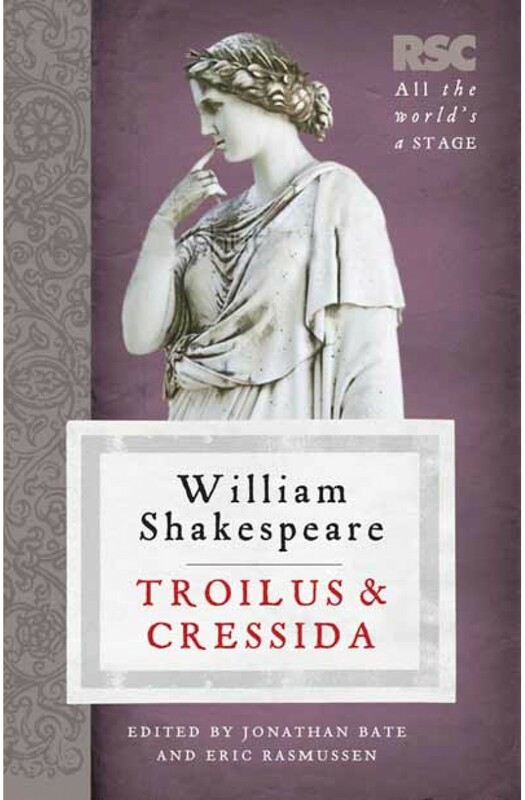 This unique edition presents a historical overview of Troilus and Cressida in performance, recommends film versions, takes a detailed look at specific productions and includes interviews with two leading directors - Trevor Nunn and Michael Boyd - so that we may get a sense of the extraordinary variety of interpretations that are possible, a variety that gives Shakespeare his unique capacity to be reinvented and made 'our contemporary' four centuries after his death. Ideal for students, theatre-goers, actors and general readers, the RSC Shakespeare plays offer an accessible and contemporary approach to reading and rediscovering Shakespeare's works for the twenty-first century.